When you love movies deciding what to watch when there’s so much stuff being churned out is usually based on what you see and hear about the upcoming release. One tried and tested marketing weapon for everyone in the business of movies is a good trailer. Through the internet it’s gotten easier to check out the latest trailers for Hollywood, Nollywood and Bollywood productions. The bigger the anticipation for a movie release, the more hits its trailer will have on YouTube. A few days ago, it was reported that Bollywood movie star and director Shahrukh Khan had initiated a distribution of the trailer to his latest movie via WhatsApp. Through a message first sent out on Twitter, fans were asked to send in their number via WhatsApp or to give a missed call to a designated number that would be used to distribute the trailer. The trailer was meant for broadcast to all the numbers yesterday (14th August 2014). and the production company had already negotiated with WhatsApp to have the limit on the number of broadcast message recipients waived for this. Its safe to say that the team behind this deserves praise for a well thought marketing strategy. This exercise exploits the virality of video, the ease of distribution through WhatsApp and a calculated encroachment into mobile advertising for a market that uses mobile for the multimedia experience. There’s no reason why the same strategy can’t be carried out for local movies. We are also a mobile centric market with a huge appetite for WhatsApp. Its the same opportunity that exists to introduce other video marketing campaigns that should be explored for greater brand visibility. Not only would it help create a hype around local films but there would be a greater visibility for the few local films that have to compete with foreign blockbusters. 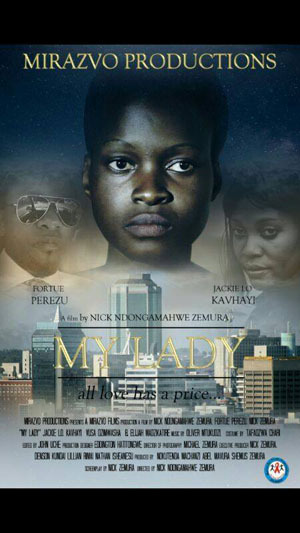 A new local movie titled My Lady is set for its debut at Sam Levy’s Ster Kinekor theatre on the 21st of August. As excited as I am about the local production I wouldn’t have known anything about it had it not been for the press article. There should have been more awareness for it. Maybe with smarter and more deliberate marketing campaigns like the Bollywood WhatsApp strategy more people would know about and rally for these local flicks. We’ll just wait to see if the local film producers want to embrace social media and tech for such out of the box thinking.